See more objects with the color gainsboro tan dimgrey or see all the colors for this object. This is a Tassel. It was made by Scuola d'Industrie Italiane. It is dated early 20th century and we acquired it in 1942. 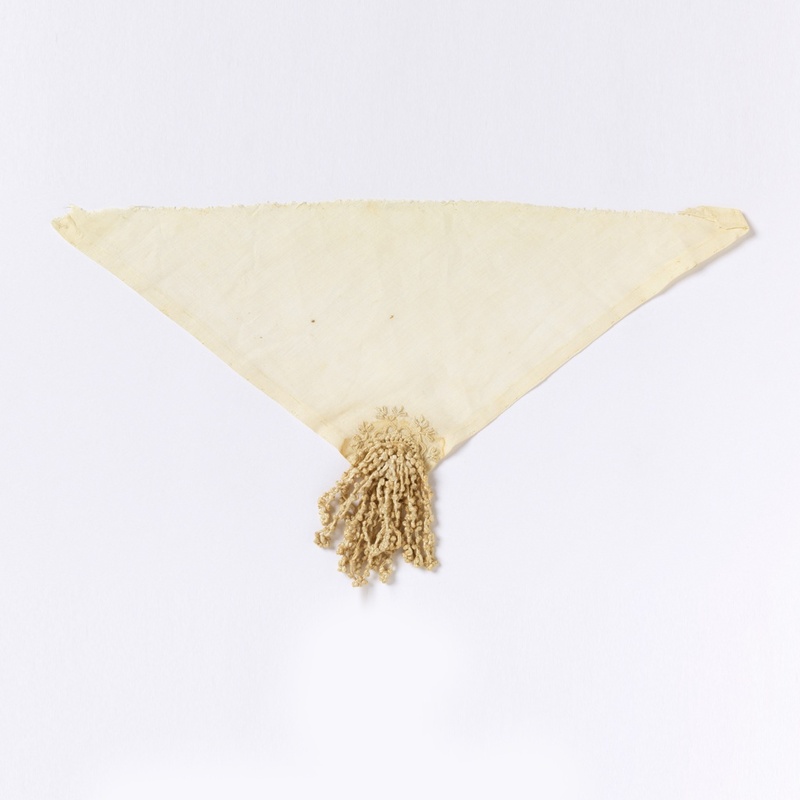 Its medium is linen, mercerized cotton and its technique is buttonhole stitches on plain weave, loops of knotted thread (tassels). It is a part of the Textiles department. This object was donated by Mrs. Florence Colgate Speranza. It is credited Gift of Mrs. Gino Speranza.